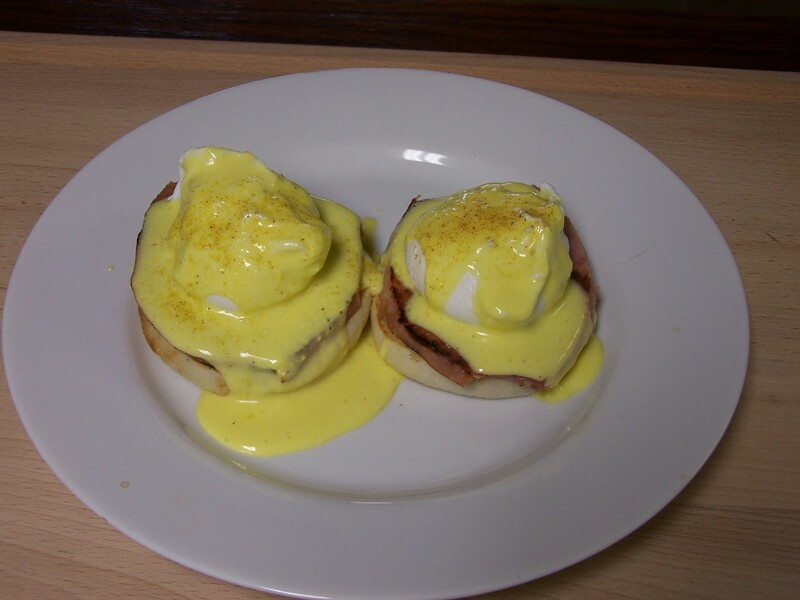 Eggs Benedict as it turns out is very easy to make. 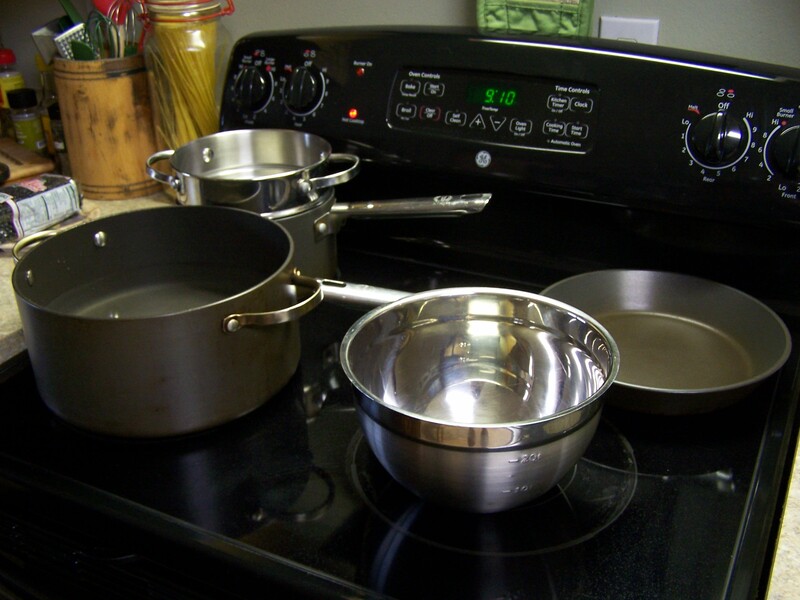 But, you have to really love the person you are making it for b/c there are a lot of pots to clean when you’re done. This dish is a very simple concept really but for some reason it has developed into an extravagance of effort. 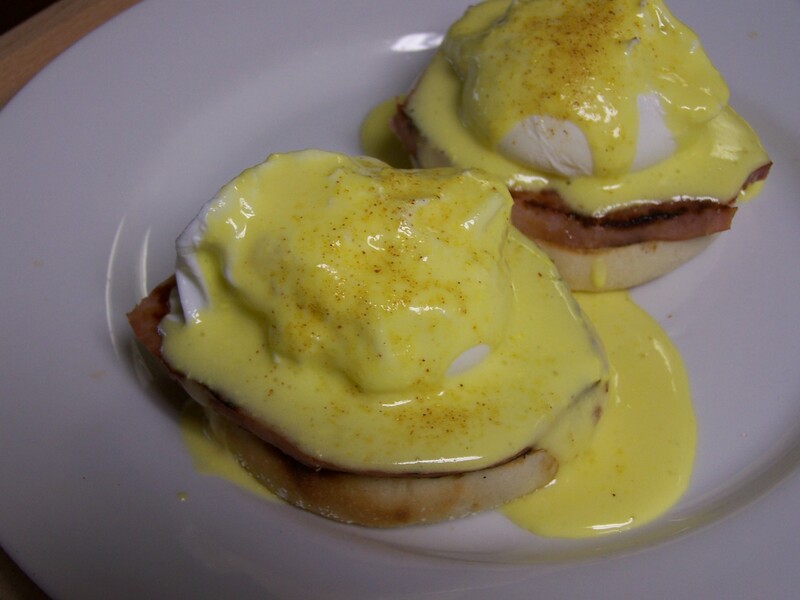 Eggs Benedict is nothing more than a fancy name for an egg yolk sauce (aka Hollandaise Sauce) on the top of more eggs (poached), a muffin and a meat (usually Canadian Bacon but I use Black Forest Ham). The Hollandaise Sauce is simple. 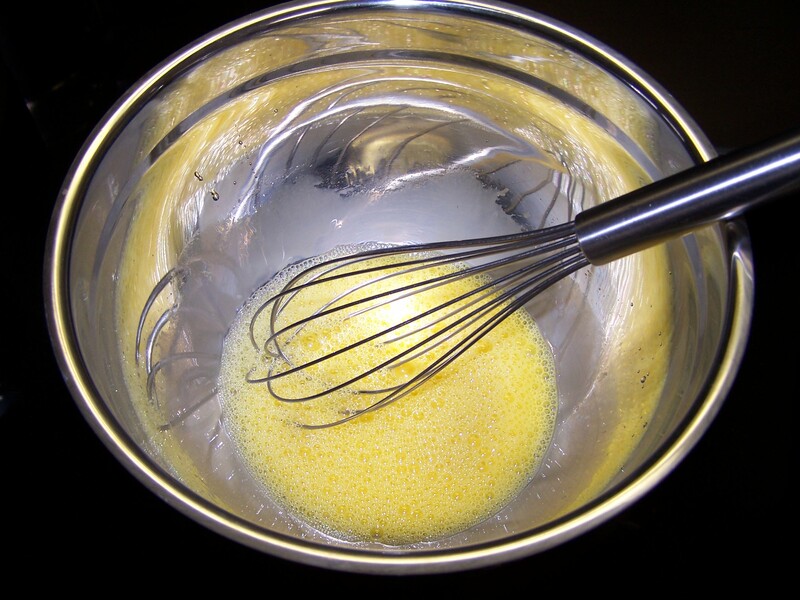 For every raw egg yolk you put into the sauce pan (minus the egg white) add one tablespoon of water. Whisk until the heat makes the sauce thicken. You don’t want scrambled eggs. 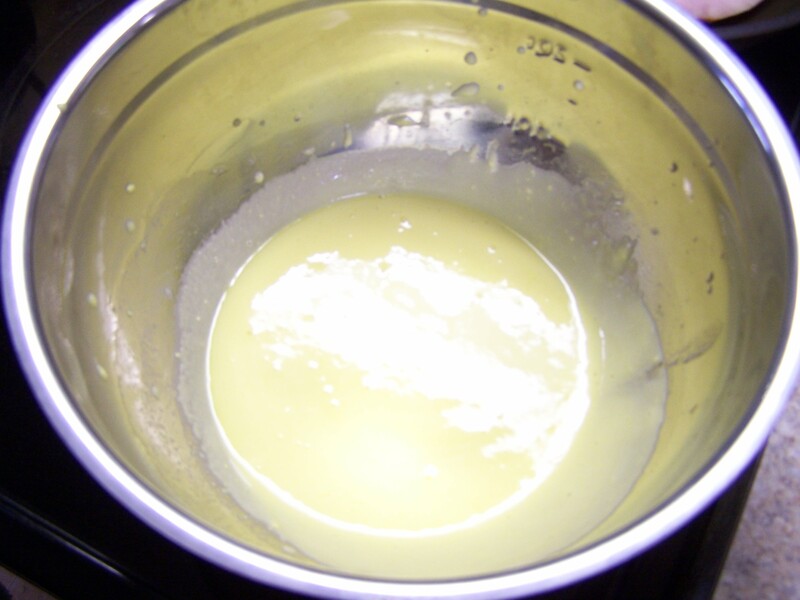 Then add the butter and the lemon juice and keep whisking. Remove from heat. The poached egg is actually the hardest step. 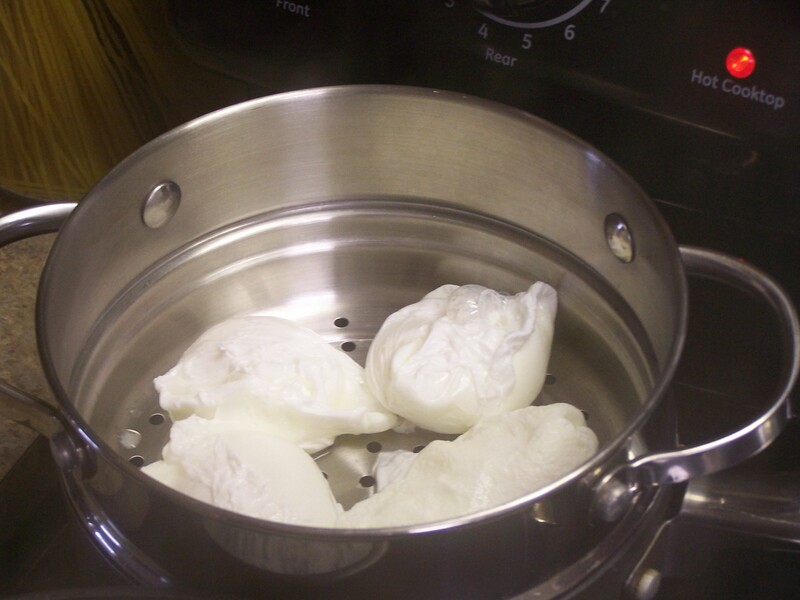 To make life easy when making poached eggs use the biggest pot you have and fill it with water and add white wine vinegar. Bring to a slight boil. Crack an egg on a big spoon; gently slide the egg off the spoon into the hot water. 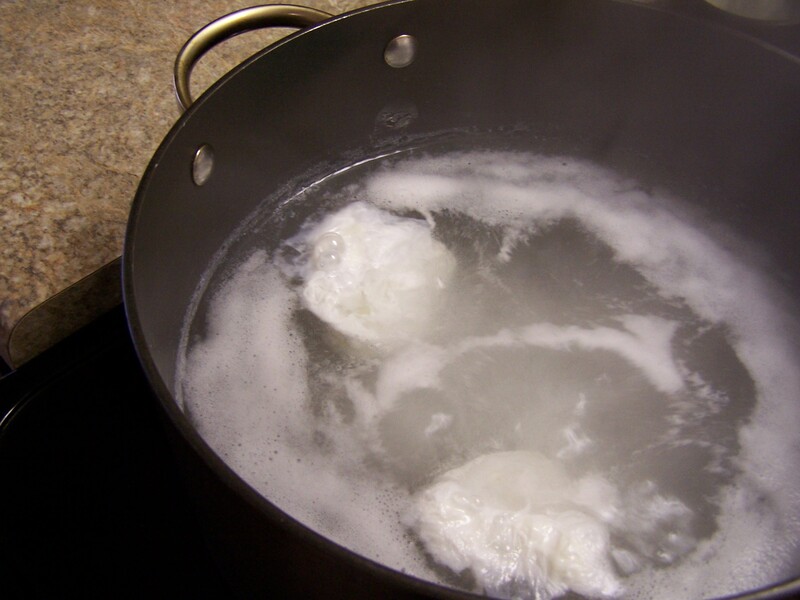 Watch the egg boil for 3 minutes, remove with a slotted spoon and place it in a pan with a paper towel to absorb and drain the water. 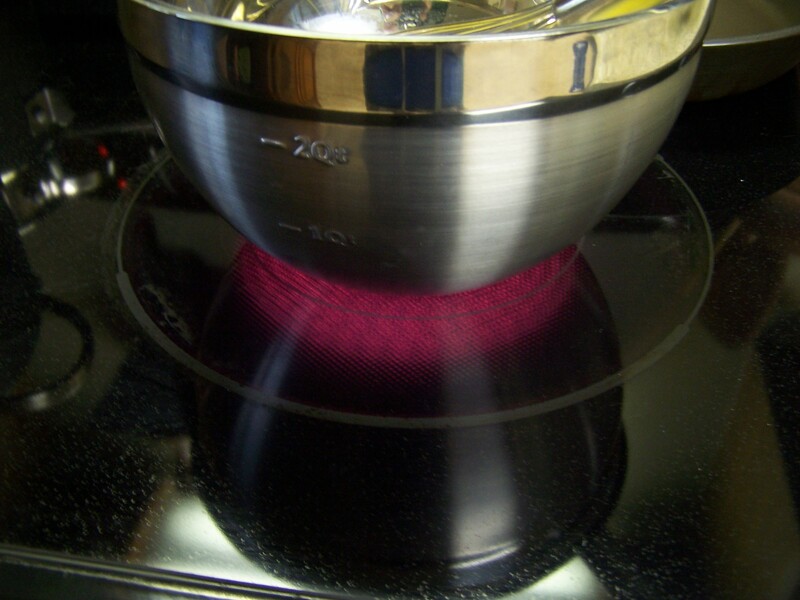 Or, I use a two part steamer pan so the eggs will drain while the hot water in the bottom pan keeps them warm. 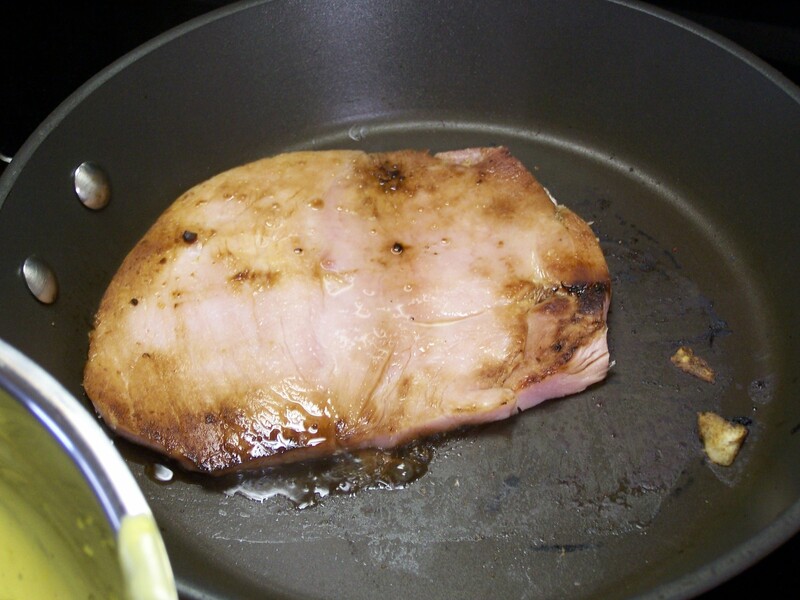 I use Black Forrest Ham b/c it is more flavorful and sweeter and then I brown it both sides in a non-stick fry pan. I get the butcher to slice the ham ¼ inch thick. I cut the ham to fit nicely on the muffin. I use a regular English Muffins and toast it. Place the muffin on the bottom, then the ham, add the poached egg, then add the egg yolk sauce (aka Hollandaise Sauce), then a little Lowry’s season salt. BOOM! You got Eggs Benedict. Over, done, eat up, love on the Chef – that would be me. Give me kisses and junk. This entry was posted in Southern and Seafood Recipes by Audubon Ron. Bookmark the permalink.